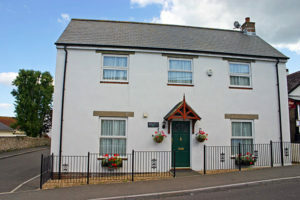 Vine Cottage provides quality accommodation in an attractive and appealing house, recently built in the heart of the seaside village of Charmouth. The 3 bedroom house is well furnished and equipped with gas central heating and a small courtyard garden with patio furniture. There is an integral garage for 1 medium sized car with additional on-street parking. Approximately 10 minutes walk from the beach, the house is close to the local village shops, restaurants and pubs. Everything you would want in a holiday home. Lyme Regis 4 miles. Appointed Agents Lyme Bay Holidays: See website for full details and brochure.